While you and your partner decide your wedding menu with your caterer, you should also remember that the serving style is also as important as the wedding menu. 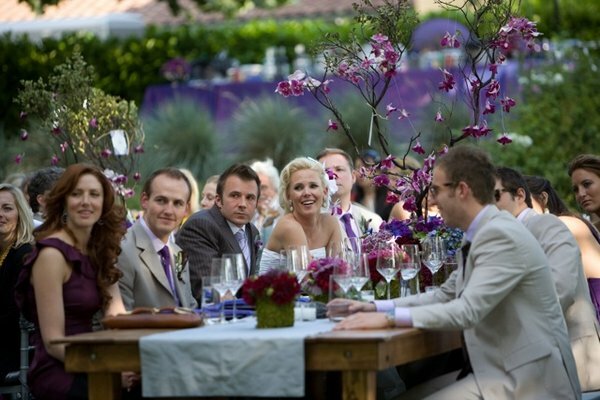 Is your wedding going to take up a more formal feel? If yes, then a plated dinner may be the best. Or your celebration will be much more casual? If yes, why not consider a buffet? But if your big day falls in between these two, there is a serving style that you should certainly consider – family style! Here are top four reasons why family style serving will be the most popular wedding catering trend in 2014. Just like buffets, family style catering is typically less pricey than its plated counterparts. How? Although you need a wait staff to serve the meal, overall a much smaller team is needed. And the team’s smaller size indicates the time you will require to allot for dinner. Guests will enjoy their meal at a faster pace leaving lots of room in your schedule for cake, toasts and heaps of dancing. Family style serving simplifies the way food is served. A smaller number of staff results in smoother and more efficient delivery of every item from appetizers to the main dishes and desserts. The dining space is less crowded and with fewer waitresses and waiters the overall atmosphere becomes more serene and enjoyable. You and your guests feel more relaxed and that enhances your entire dining experience. A common complaint about buffets is they are not as elegant as a formal plated dinner wherein each guest is seated and is served individually. Family style serving finds a great middle ground – guests are made seated but are served in a little more casual way, making it perfect for any style of wedding, whether it is a rustic, a backyard or a garden wedding. What is the most lovable feature of a holiday spent with family? Apart from games, picnics, excursions and children, the family gathered around the dining table and chatting aloud is the most lovable part of a family gathering. When you arrange a family style dinner on your big day, you can achieve the same feeling. Whether your guests are known to each other for years or have met just some moments before, passing on of plates starts a way to comfortable conversation. You can enhance this warmth and elegance of the atmosphere still more by adding candles to your centerpiece. This article is sponsored by Alexander Event – the best Miami wedding catering service for South Florida weddings. They are famous for their catering for wedding and other events like corporate and private events, theme parties, seminars and more. 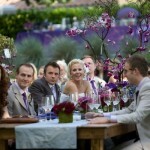 Their goals are to over-deliver and strive to make your South Florida weddings and events a success.